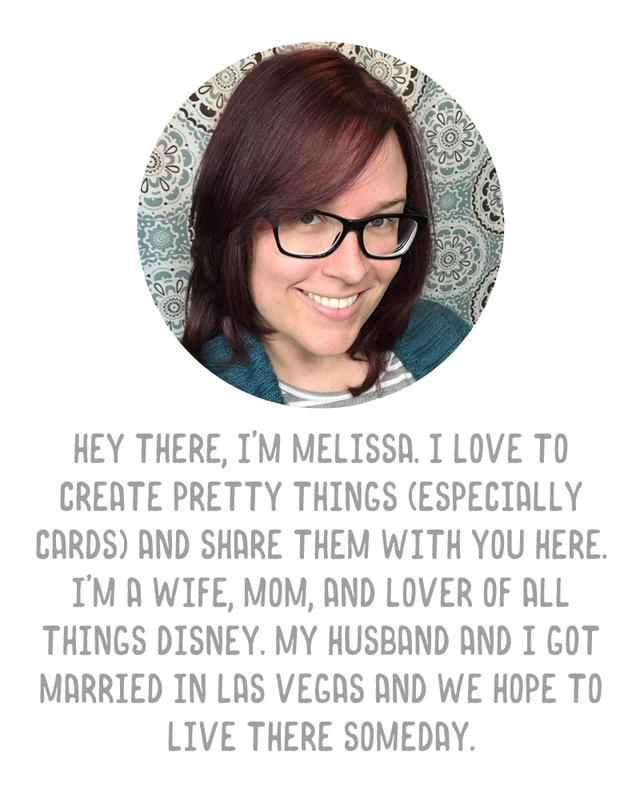 I have a digital Project Life spread to share with you today. 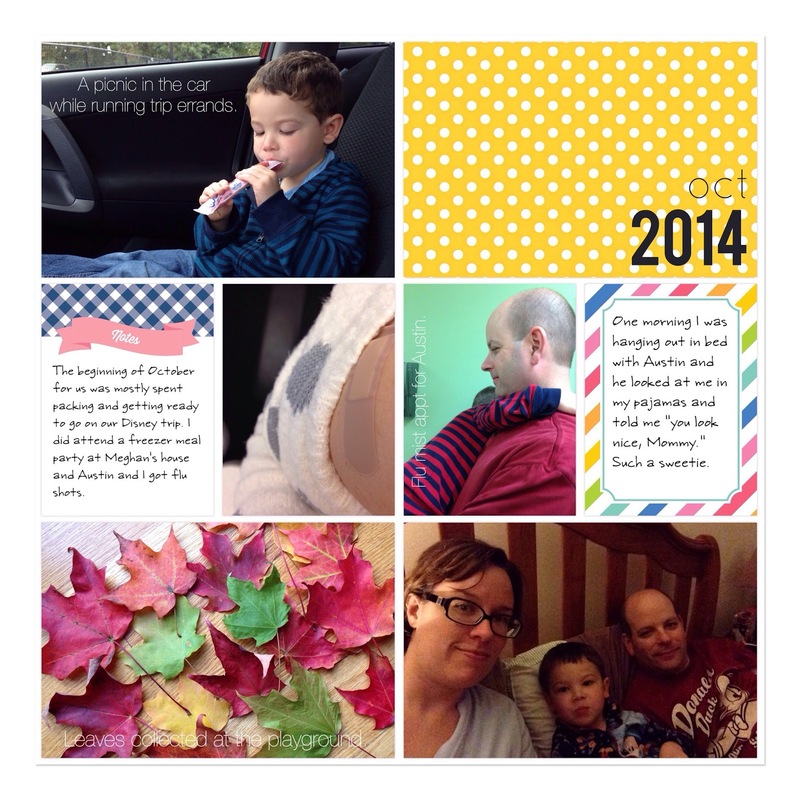 This was done with the Project Life app, using the Strawberry Edition. I did add some text on my pictures using the Rhonna Designs app, and the "Oct 2014" brush from my 2014 Monthly Brushes set. Austin visited my (now old) workspace and wrote his name, along with Grammy and Grampy on my whiteboard. I think it's amazing that he's learning to spell (at the time I'm writing this he's up to 8 words), so I wanted to document that. Plus, I couldn't take my white board to my new office space, so I had to record this with a photo to save it. I added in a photo of some artwork that Austin had done at daycare. I love including pieces of his art in my spreads. On this page I added just a few random photos. We didn't have much going on in the beginning of October because we were so busy preparing for being out of town (and out of the country) for two weeks, so there really weren't that many memories to document. 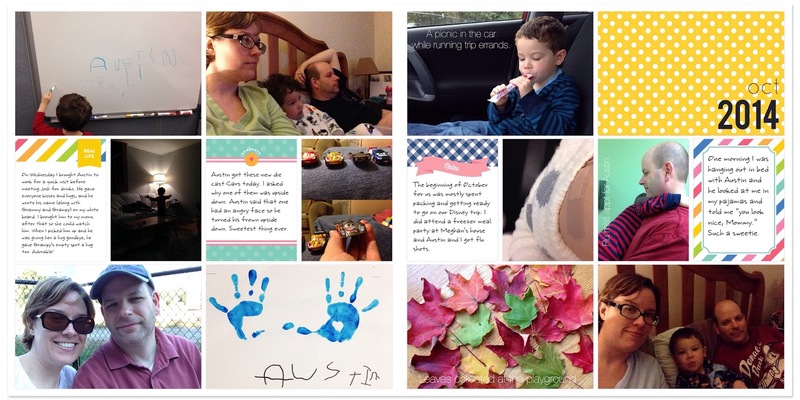 I did include a photo of the leaves that Austin collected one evening at the playground, and a "Survivor Selfie." We've been watching Survivor every Wednesday as a family, so I thought it was important to include this. 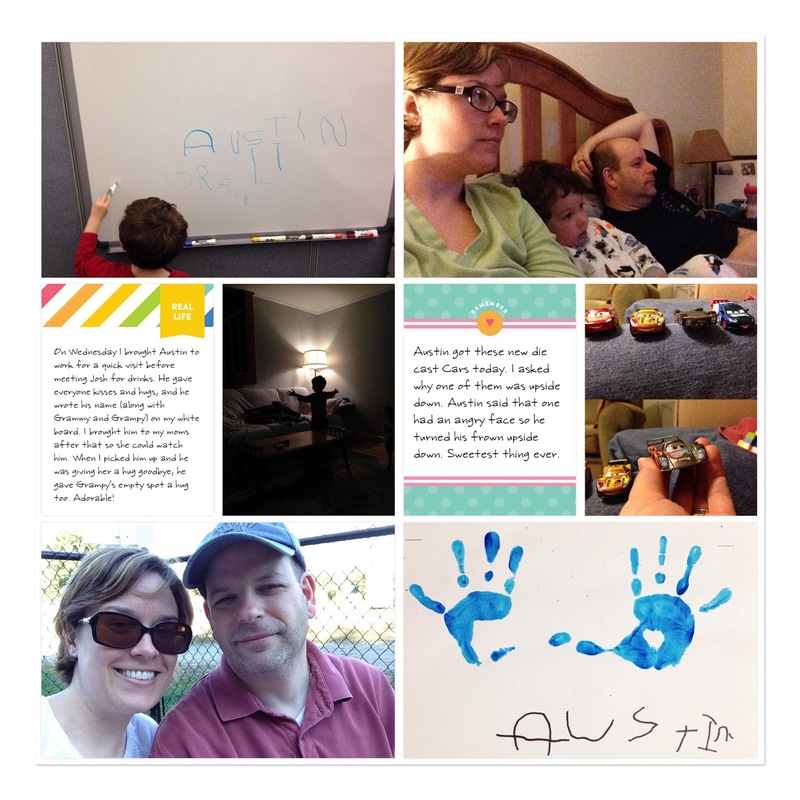 I also added in pictures from mine and Austin's flu shot appointments, and a story about something Austin said to me one morning.